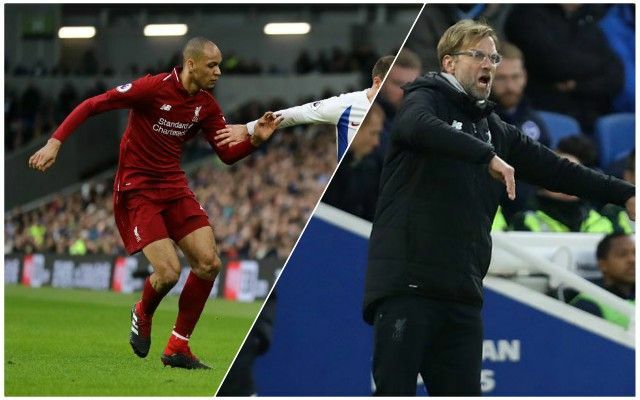 Fabinho says Jurgen Klopp never lets up on the touchline during matches, after expressing his surprise at how animated and engrossed the German is. The Brazilian midfielder has become a regular starter in the last few weeks, and started against Brighton at the weekend in defence because of a shortage of centre-backs, but spent time on the bench when he first signed as he acclimatised to the Premier League. And it’s not just in the stadia that Klopp is energetic – he is like that in training too. With the Reds in pole position to win the Premier League, that intensity will certainly not be lapsing any time soon. If anything, it will only increase between now and May as Klopp looks to push his players over the line. It must be incredible to work for Klopp – the players all seem to love it.